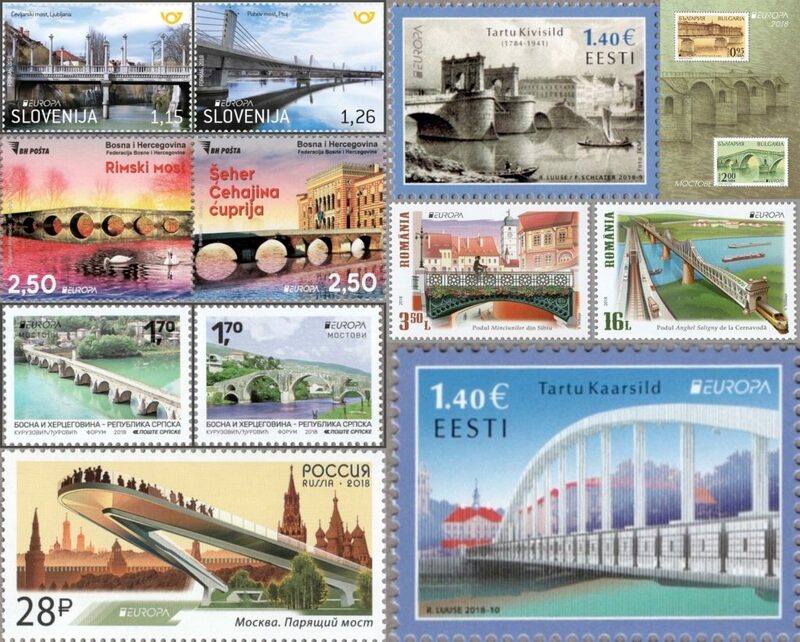 While Eastern European country issuances are of interest to country collectors they are also a delight to Topical collectors with the depth and breath of their Thematic offerings : joint issuances, Europa, preservation of natural resources, holidays and religious recognition, history and antiquity, heroes and sports, culture and the arts, and landmarks. With that in mind we hope you will sit back and enjoy our “thematic highlights” of the new issues of 2018. 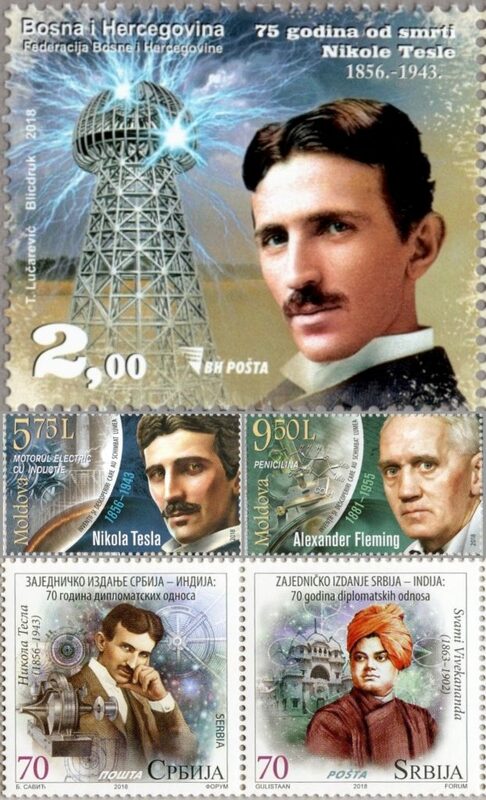 Europa Stamps are special issues offered by the European postal administrations. 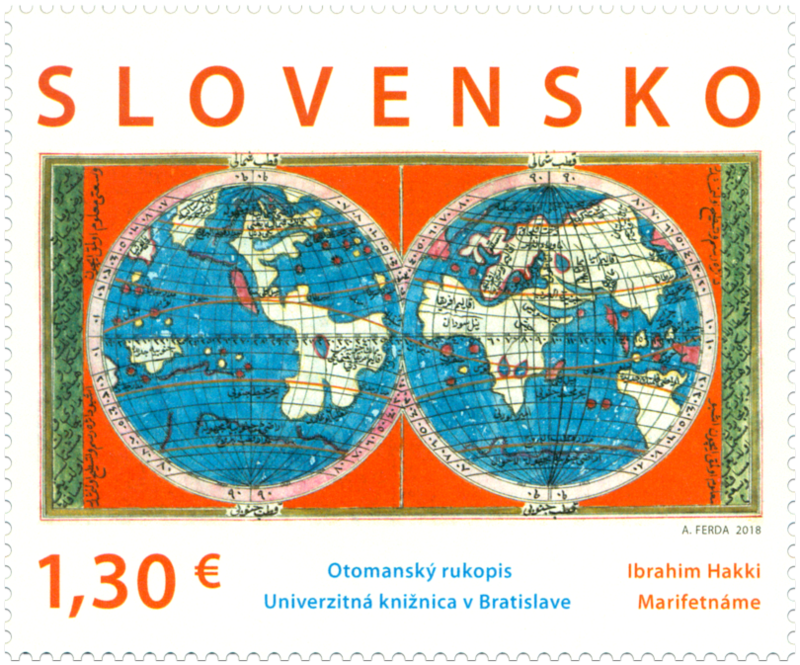 Europa stamps promote cooperation across postal domains and promote philately. 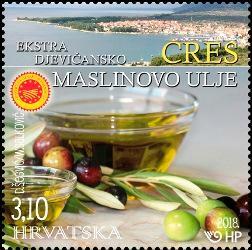 These stamps help build awareness of common culture and roots and history of Europe. 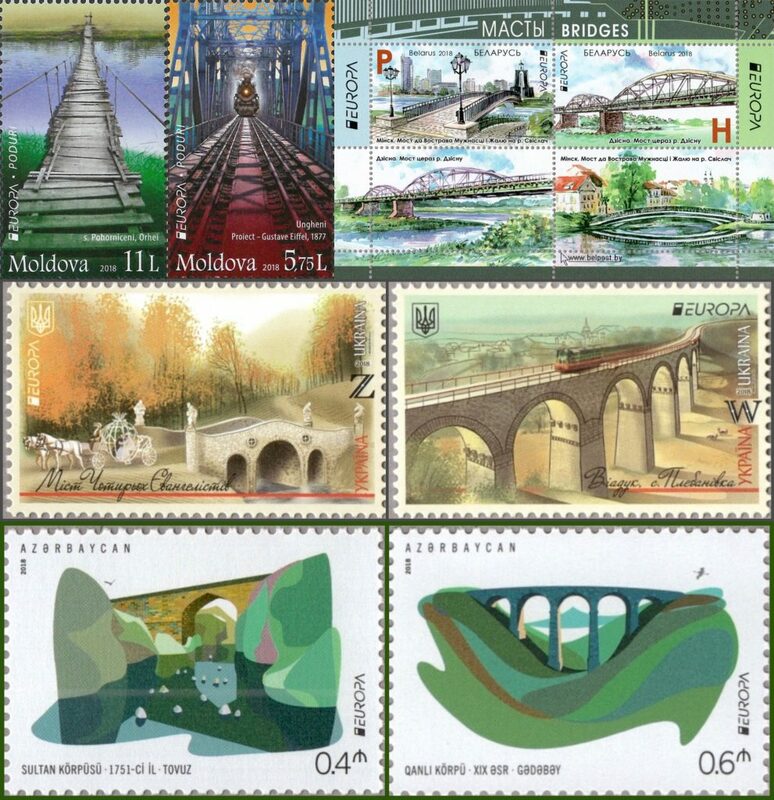 First issued in 1956 this years’ dramatic theme is Bridges. We are sure you will agree the view is “expansive”. These magnificent structures range from antique wood (Molova) and bucolic covered stone bridges (Croatia), to drawbridges (Lithuania) , fairy tale bridges (Ukraine) and Castle Bridges (Latvia) ; from pedestrian bridges (Belarus) and rail bridges (Latvia & Molova) to chain link bridges (Hungary) and modern structures (Russia). Slovakia Joint Issue with Turkey: An Ottoman Manuscript from the Bašagić Collection. Safvet beg Bašagić (1870 − 1934) a significant writer and historian from Sarajevo. Director of the Sarajevo National Museum, was later elected President of the Parliament of Bosnia and Herzegovina. He inherited the family library from his father, Ibrahim, and continued to preserve an image of Yugoslavian-Muslim literary heritage. Besides classic Islamic religious, scientific and fictional literature, there are also works by Serbs, Croats and Bosnians. UNESCO included the Bašagić collection in the Memory of the World Register in 1997. It is currently housed at the University Library of Bratislava. 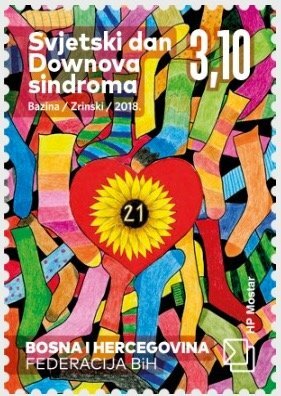 On the stamp, there are themes from this encyclopedic work which is centered around the creation of the world, heaven, the paradise of angels, the Sun and Moon, the seas, geography, anatomy, faith and education. This manuscript from 1813 is characterized by its artistic illustrations, mainly from the fields of astronomy and geography, and is among those items most representative of the Bašagić collection. Ladislav Bielik, photojournalist image of Bare-Chested Man in Front of Occupier’s Tank. 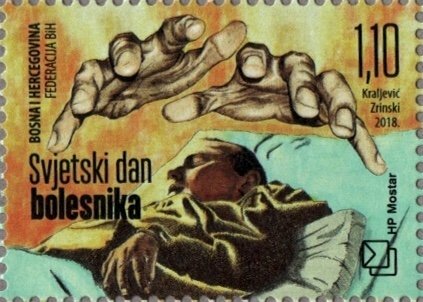 This photo depicted on the stamp is a symbol of Slovak and Czech resistance to the Warsaw Pact Invasion of the Czechoslovak Socialist Republic 1968. Bielik’s 186 photographs taken in the streets of Bratislava give evidence to the Warsaw Pact intervention against emerging democracy in the heart of Europe. A photo entitled The Bare-chested Man in Front of the Occupier’s Tank was added to an exhibition collection of World Press Photo. This iconic photo is a fixture in the most renowned sets of the best photographs of the 20th century. Magyar Posta is continuing the presentation of Hungarian saints and blesseds in 2018. The Hungarian Saints and Blesseds VI numbered souvenir sheet honors Saint Andrew Zorard, Saint Benedict and the Blessed Maurus of Pécs. The first saints of the medieval Kingdom of Hungary were the hermits of Mount Zobor. Tradition has it that they were canonized in 1083. A historical event celebrated distinctively by now two separate independent countries of Slovakia and Czech Republic. The Slovaks and Czechs, two close Slavic nations, had developed as parts of different nations from the end of the 10th century. Slovakia was part of the Kingdom of Hungary (from 1000), and the Czech lands were part of the Holy Roman Empire inherited by the Habsburgs. From the late 19th century, the efforts of Slovaks and Czechs to escape oppression led to cooperation between them in order to achieve national liberation for both nations. These efforts reached their peak during the First World War, when Slovaks and Czechs began to fight for national liberation. Led by a Czech, T. G. Masaryk, and a Slovak, M. R. Štefánik, the Czecho-Slovak National Council was created in exile to help persuade the Triple Entente of the effectiveness of the creation of a Czecho-Slovak state. 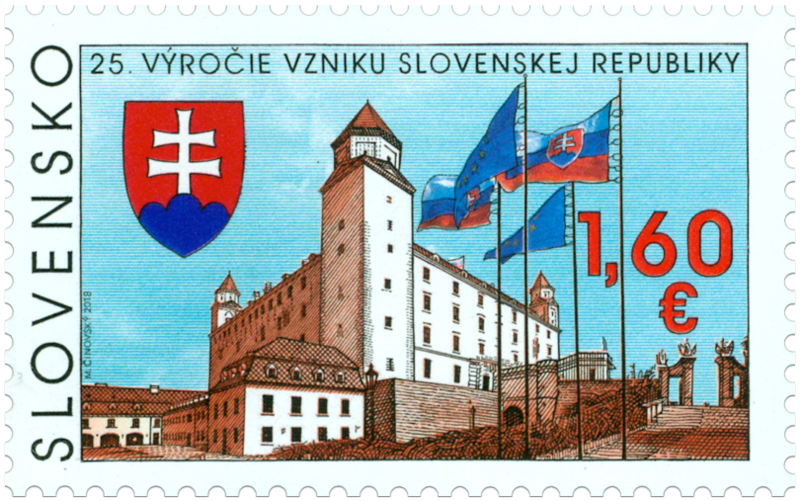 That state came into existence on October 28, 1918 in Prague, and the Slovaks joined through the Declaration of the Slovak Nation on October 30, 1918. 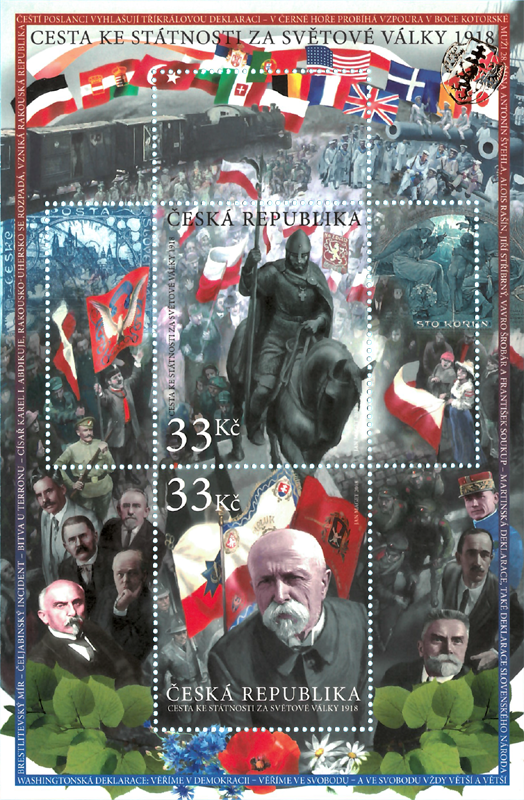 The Versailles peace treaties of 1919 and 1920 acknowledged the new state under the name of the Czechoslovak Republic. 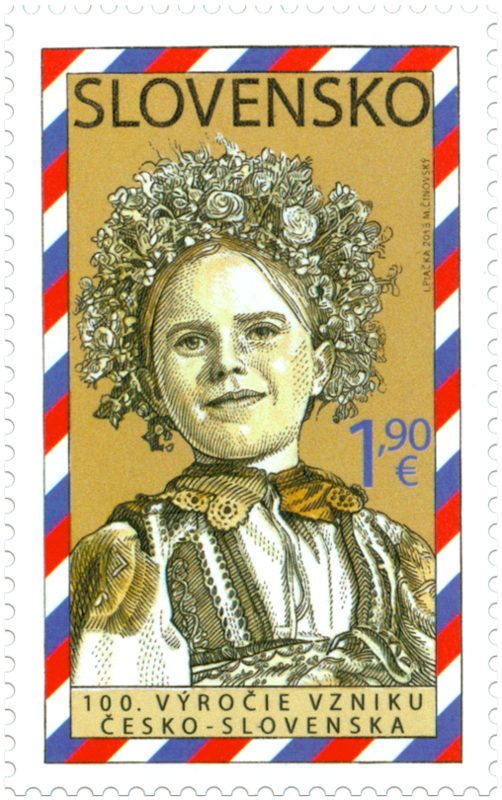 This stamp is an artistic interpretation of a Slovak girl in her national folk costume, and was taken by the Czech folklorist, K. Plicko. It symbolizes the hope that the new state would become home for both nations which unfortunately did not happen. The state ceased to exist between 1939 and 1945 and finally dissolved in 1993. However it was an important historical part of the journey towards the Slovak Republic and Czech Republic of today. 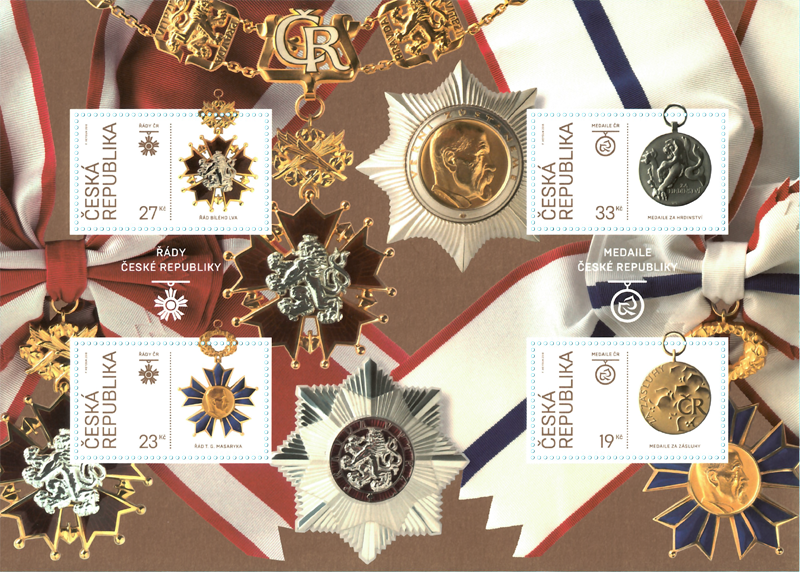 The stamp depicts orders and medals of the Czech Republic. Starting October 1918, Members of the National Committee delegation led by Karel Kramář and members of the anti-Austrian foreign resistance movement led by Edvard Beneš entered into negotiations about the creation and form of an independent Czechoslovak state. The new state became a republic, and T.G. Masaryk became the president. During his address to the crowd gathered at St. Wenceslas Monument in Prague’s Wenceslas Square on the same day, priest and politician Isidor Zahradník declared an independent Czechoslovakia. In the evening of 28 October, the National Committee passed the first law on the establishment of an independent Czechoslovak state. Hungary honors Heroes of World War l.
Hungary’s 1956 revolution and fight for freedom required the nation to unite against the Oppressive Soviet regime imposed on the country. 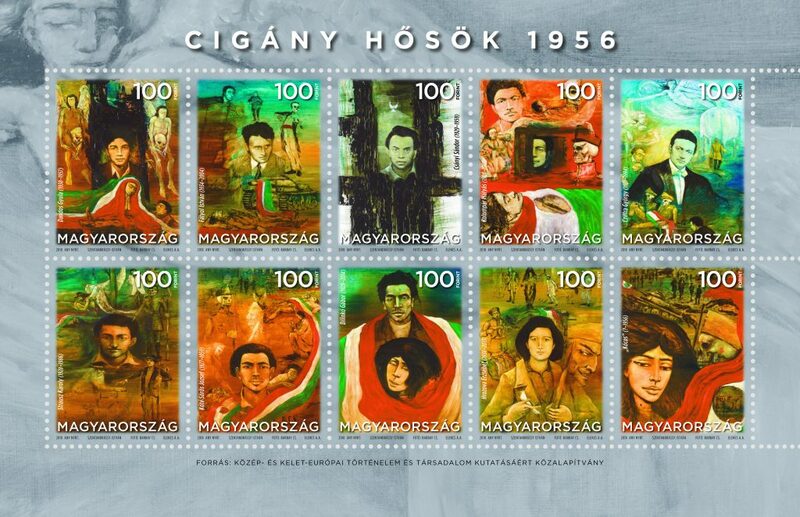 This issuance honors the Roma heroes of 1956, remembering their deeds and honoring their memory on stamps shows the expressive and dramatic compositions of the Kossuth Prize winning artist of Roma origin István Szentandrássy. 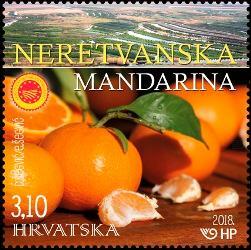 Croatia has also issued a stamp to recognize its war of independence, fought from 1991 to 1995 between Croat forces loyal to the government of Croatia—which had declared independence from the Socialist Federal Republic of Yugoslavia (SFRY)—and the Serb-controlled Yugoslav People’s Army (JNA) and local Serb forces. A majority of Croats wanted Croatia to leave Yugoslavia and become a sovereign country; many ethnic Serbs living in Croatia, supported by Serbia, opposed the secession and wanted Serb-claimed lands to be in a common state with Serbia. The war ended with Croatian victory, achieving independence and preservation of its borders. 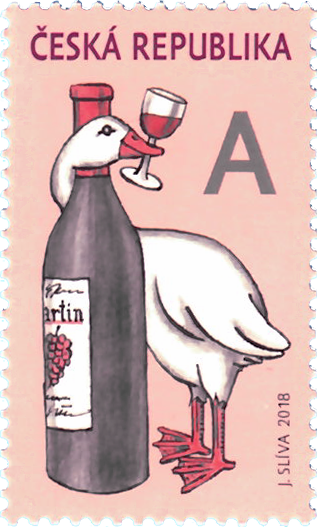 Hungary has issued stamps in support of the Regional Thematic Stamp Exhibit in Mor during Wine Days. Thousands of visitors attend the program offering cultural, sport, entertainment and folk tradition events. A Czech proverb connected with the St. Martin’s Day says, Saint Martin is coming on a white horse, signifying the arrival of first snow that year. Regardless of whether or not he brings snow, he always comes with fresh Merlot, Müller, Portuguese and St. Laurent wines, not to mention the goose. 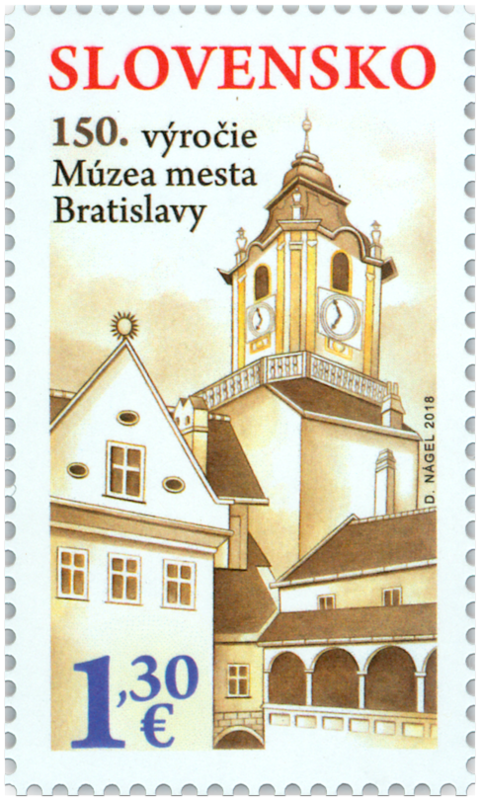 The Bratislava City Museum is a historical institution in the capital of the Slovak Republic. It was founded by the Okrášľovací spolok (Bratislava Beautification Association) in 1868 thanks to the interest of townspeople and local patriots in the history of the city. The National Museum is the largest Czech museum. Designed to help develop national identity and awareness about belonging to the broader European and global community and culture. The museum consists of five institutions – the Natural Museum, the Historical Museum, the National Museum’s Library, Náprstek Museum of Asian, African and American Cultures and Czech Museum of Music. 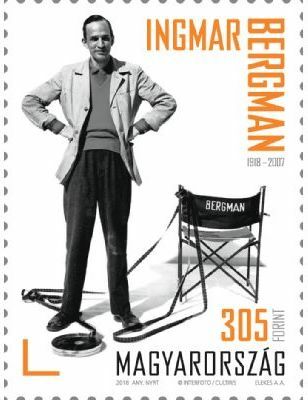 Magyar Posta is continuing its special stamp series presenting the collections of museums in Hungary. 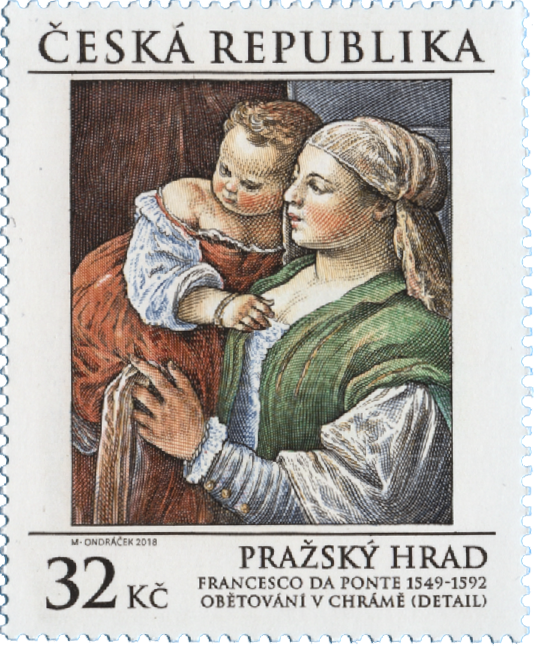 The current stamps present a selection from the interesting and impressive treasures of the Jósa András Museum in Nyíregyháza and the Blue-Dyeing Museum in Pápa. 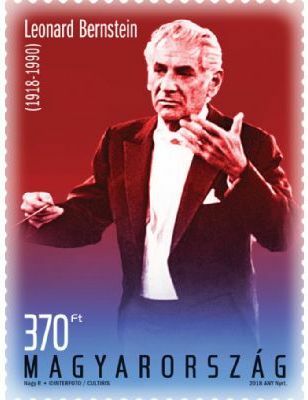 Leonard Bernstein (1918-1990), internationally acclaimed American composer and pianist, one of the most prominent conductors and musical personalities of the 20th century, first to promote classical music on television .He was able to communicate the essence of music to every age group in an understandable way. His musical West Side Story, staged in 1957, was an outstanding success and the film won 10 Academy Awards. 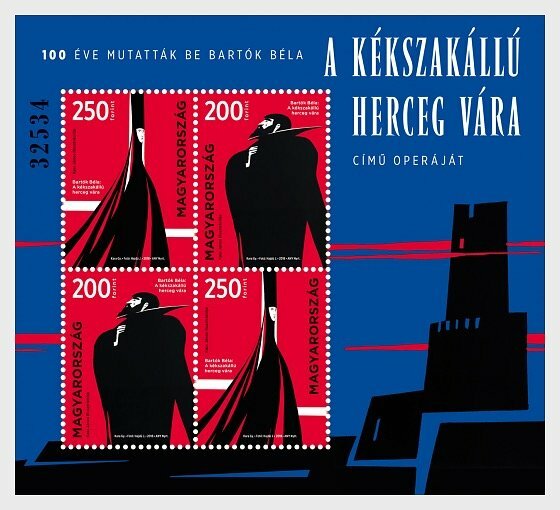 This commemorative souvenir sheet marks the centenary of the premiere of Béla Bartók’s opera Bluebeard’s Castle. Béla Bartók (1881-1945) was a composer, pianist and ethnomusicologist who collected Central European folk music. One of the classics of 20th-century composing, he is the greatest Hungarian composer alongside Franz Liszt. He laid the foundations of folk music collection in Hungary. His art and academic achievements were of major importance not only in terms of Hungarian and European music history but as part of universal culture. Bluebeard’s Castle is Béla Bartók’s only, one-act opera. 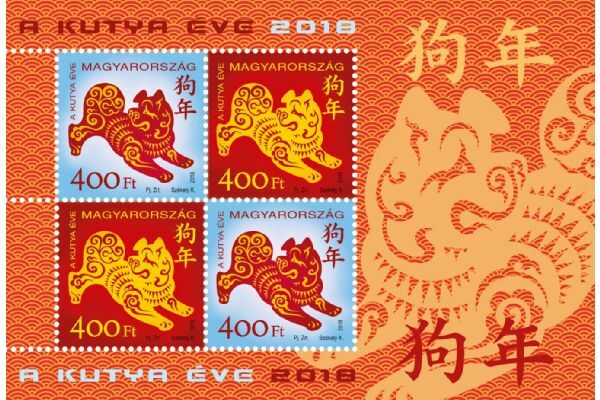 Year of the Dog offerings from Hungary, Tajikistan, Estonia, Slovenia, Kazakhstan. 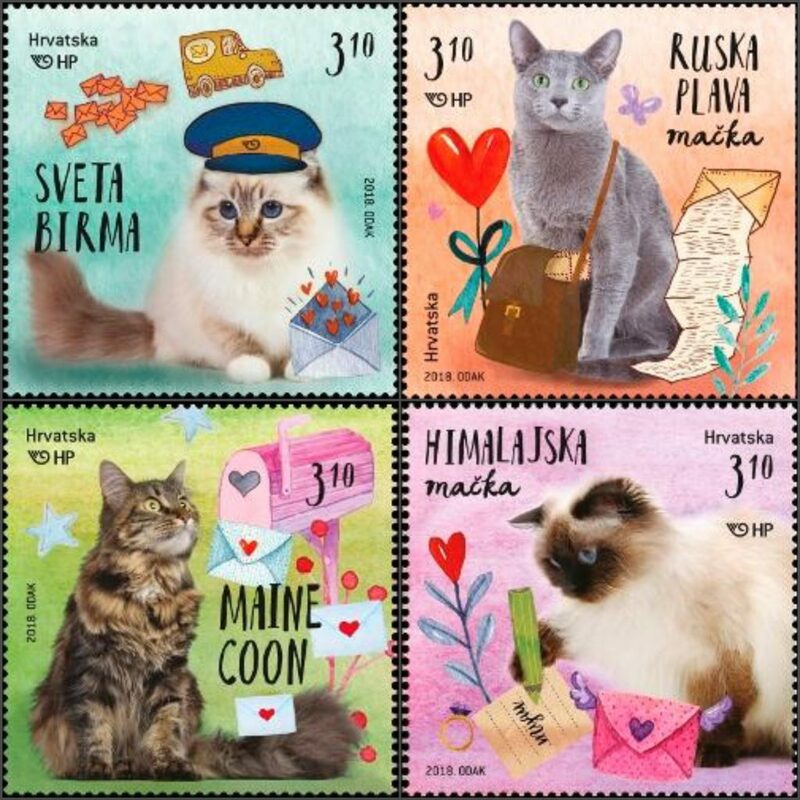 It’s stamping cats and dogs! 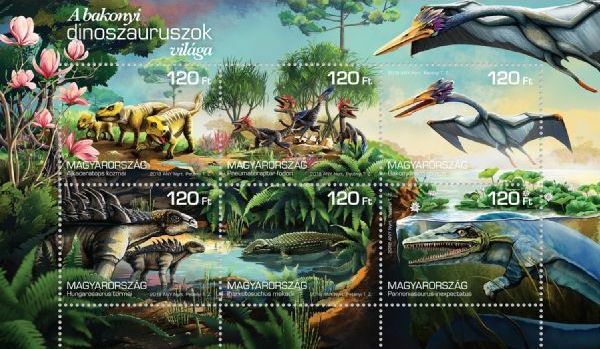 Magyar Posta issued a miniature sheet about the world of dinosaurs, once the rulers of the Earth’s biosphere. The sheet presents a few of the dinosaurs and ancient reptiles together with their habitat whose fossils were found in the Bakony hills in Hungary. Magyar Posta is marking the 150th anniversary of the foundation of the Hungarian State Railways (MÁV Zrt.) 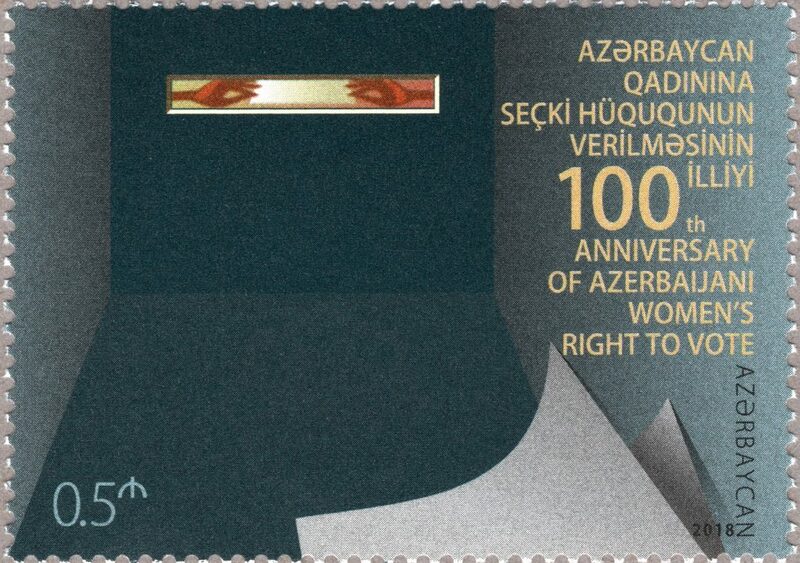 by issuing a special souvenir sheet. Nowadays, tracks criss-cross the entire country and also link places in countries far and near. 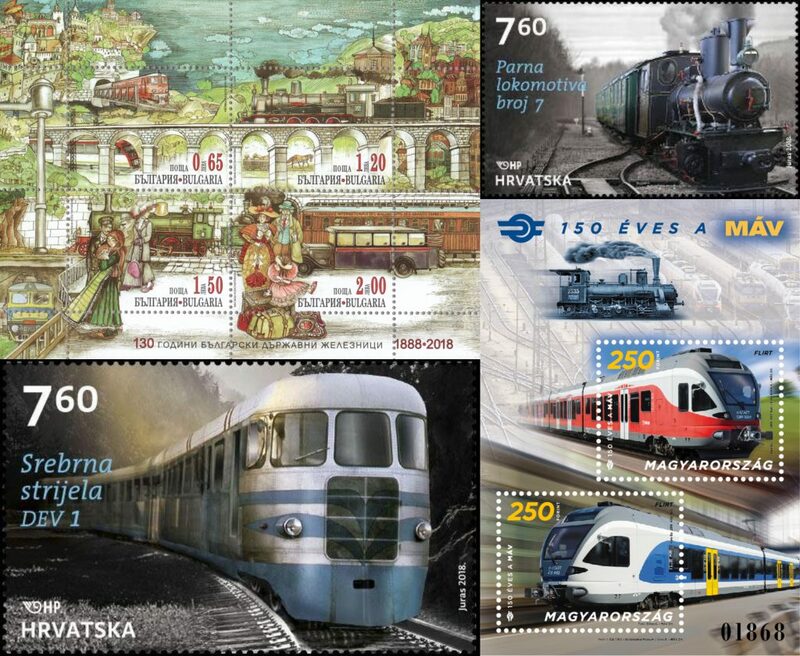 Hungary has also issued a special stamp to honor 150 years of service of the Hungarian Mail train. Czech Republic issuance of The World on the Rails II – stamp booklet Includes the steam engines called “three hundred and sixty five” and a motor coach called “the Silver Arrow”. 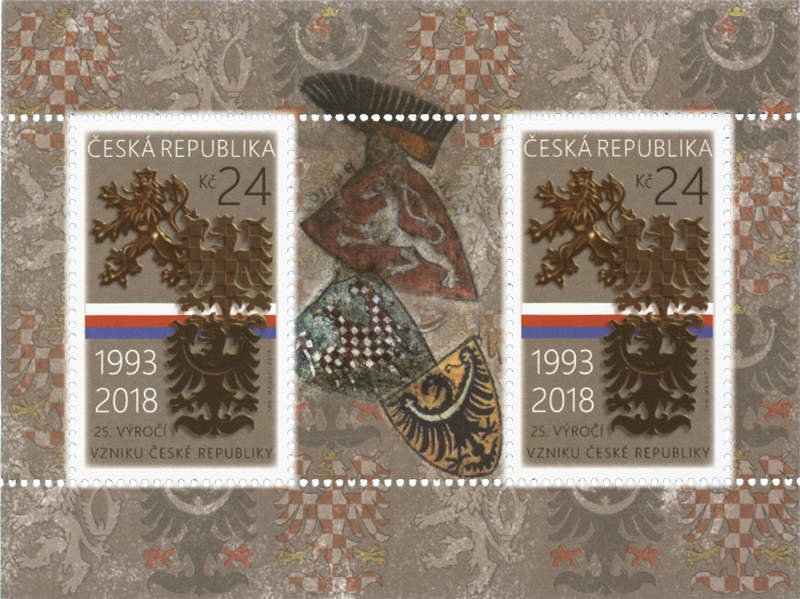 100 years of Czechoslovak postage stamps –The stamps in the miniature sheet are arranged as pages of a stamp album containing significant Czechoslovak and Czech stamps. 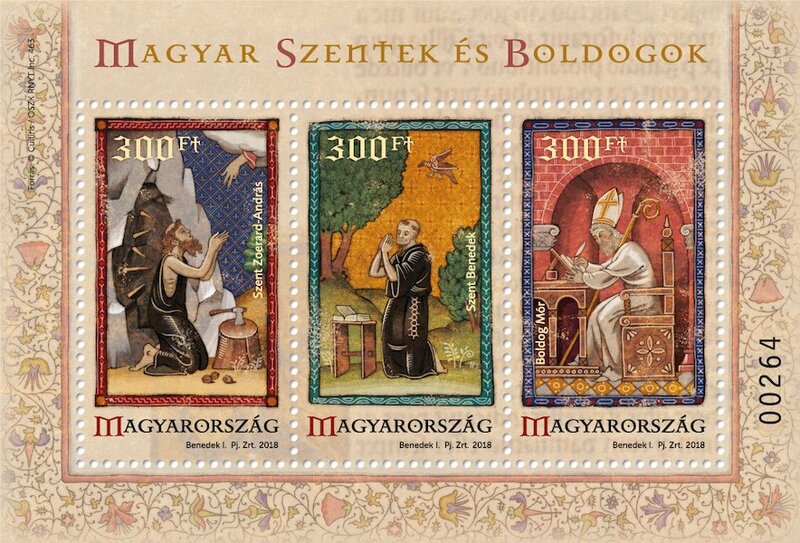 2018 – 650TH ANNIVERSARY OF NAGYKŐRÖS, TOWN OF JÁNOS ARANY National Stamp Exhibition. 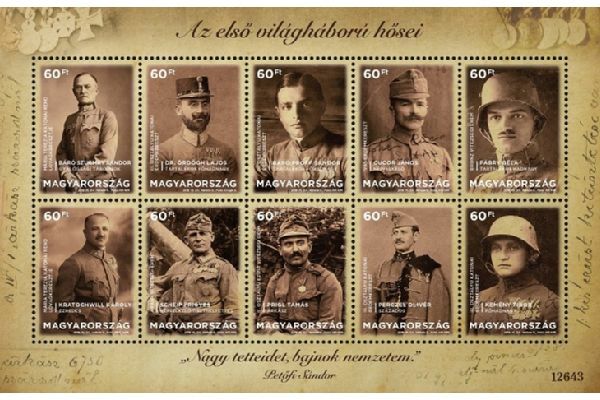 In support, Magyar Posta issued a two-denomination set of stamps and a souvenir sheet. 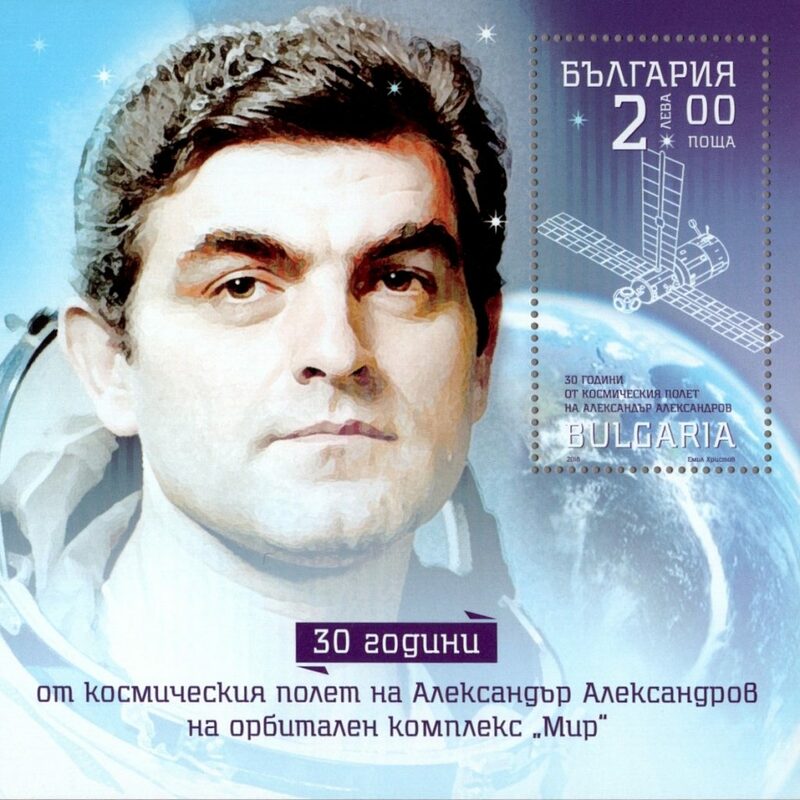 Bulgaria issuance of Souvenir Sheet celebrates 30th Anniversary of Alexander Alexandrov’s Space Flight on Orbital Complex Mir. 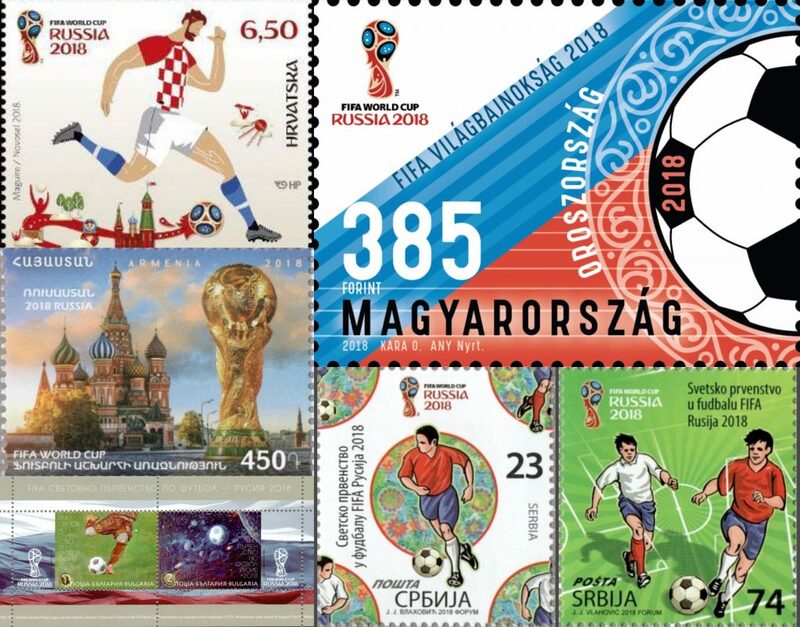 All of us at the Hungaria Stamp Exchange hope you have enjoyed reading about and viewing the magnificent new issues of many of the Eastern European new issues of 2018 as much as we enjoy making them available to you. All good wishes for a joyous and peaceful 2019.